I Used To Be A Nihilist, Til I Saw A Jetpack Brontosaurus. The above is a trailer for the game Jetpack Brontosaurus from the game website Blurst.com. 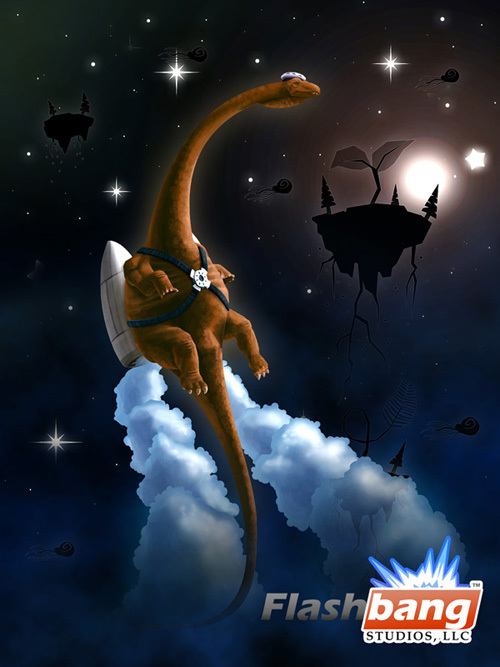 In the game, you play an Apatasaurus named Brontosaurus who is dreaming he has a jetpack. Between the concept and the gorgeous music, this is so wonderful I can barely stand it. How could you ever have doubts on the innate goodness of the universe when there are two easy to find and free games starring a brontosaurus with a jetpack? This entry was posted in Online / Flash Games, Sci Fi/Fantasy, Self Publishing. Bookmark the permalink.